The games are being fully remade, from graphics to systems, and optimized to be easier to play for newcomers. Character designs are completely new, the scenario is fully voiced, and the UI is being optimized. Battles also have cut-ins, and new elements not included in the original games will be added. Looks like I don't have to worry about trying to hunt down Warsong anymore (assuming they bother to localize these; the other question being 'will they also include Der Langrisser?'). But wait! Does this mean that SRPGs are finally making a comeback!? Funny this announcement comes as I'm replaying the series. Sound cool, but I don't get what needs to be "casualized" here. 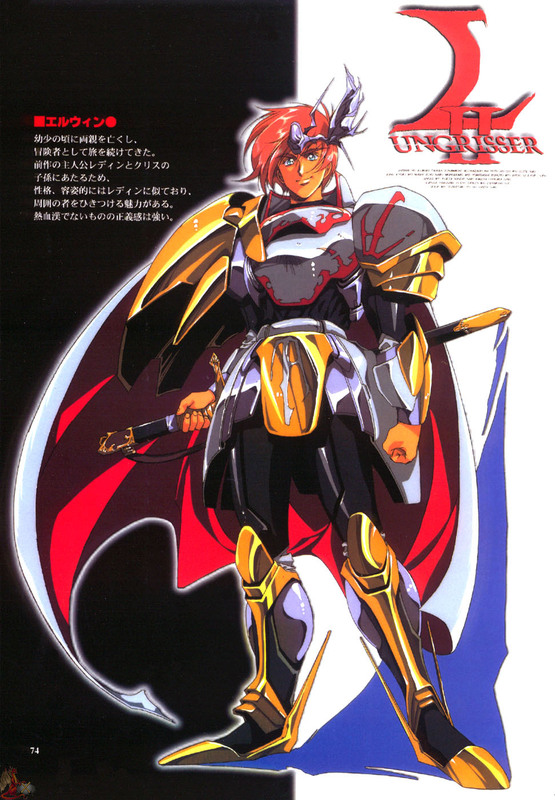 If there's one thing the Langrisser series always lacked it was difficulty. You could only really force it on yourself by specifically not doing what the game tells you to (ie attack enemies when you're supposed to be escaping). Even then, it's not like FE where mistakes lose you a unit permanently (well, unless you game over I guess). Also while the Ar Tonelico guy's art is pretty good too, I still think throwing out Urushihara's art is blasphemy. It was bad enough they didn't get the guy for Reincarnation: Reincarnation, but I don't get why you'd want to replace the guy's old art, it still looks great today. I demand that they reproduce the "shiny skin-tight swimsuits with pauldrons" look. Also "fully voiced" is nice, but the Dramatic Edition is nearly fully voiced already so I assume they mean they'll re-record all of it since the sound quality on those versions is...about as good as they could've been on SS/PSX. Honestly, I'd rather have Ar Tonelico's artist over Tensei x Tensei's hack. I'd rather not have pedobait foisted upon us again. As for the difficulty issues. There were a couple of maps in certain games where you had to do some pretty unintuitive things to access certain stages (no idea if they'll be able to keep the Cho Aniki stage) or clear certain objectives. Maybe that and making it easier to manage your rank and file/equipment are the casualizations they mentioned (that or Kadokawa feels the need to really softball it for non-SRPG players; which wouldn't surprise me after God Wars/Natural Doctrine). I'm at the point where I am just assuming that this will be paperthin, pandering garbage. Prove me wrong, please, Kadokawa. So long as this even tries to stay with the original versions and not even up like buggy shovelware (ala Secret of Mana PS4), then it'll be as solid as an early 90s SRPG title. ...I miss Urushihara's designs already. Pretty much as I expected, the art is just fine and it's a decent recreation of the original designs, but I still don't get really why they would replace Urushihara's art like that. Compared to something like, say, Lufia's original art, Urushihara's fits modern animu tastes just fine so I don't even understand it from that perspective. It doesn't even look like the goal was to sever the obvious ties to cheesecake associated with the man because they still kept the midriff-tastic designs on Chris and Liara. Its probably some combination of the first two Langrisser's protagonists looking near identical in their OG art (namely because L2's protags kinda suffer from being generation xerox'd), and that short sleeves/covered shoulders are out while bare shoulders/detached sleeves are in. I guess the other possible reason is maybe pursuing a (proper) sixth game using the same artist if this one does well. 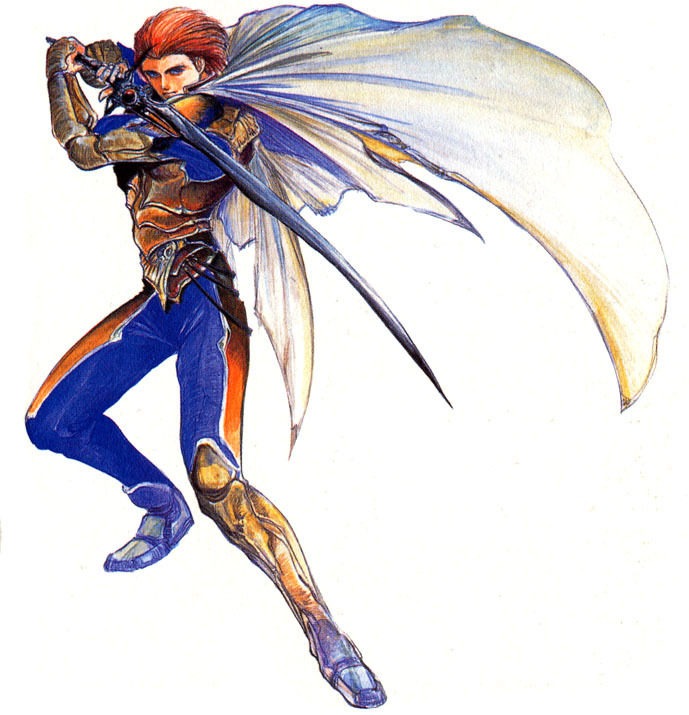 And on the subject, hell Lufia 2's OG art wasn't that bad either (kinda generic in overall design but had some great action poses), if anything, Curse of the Sinistrals' character design wasn't any less generic (they just traded down from mid 90s generic to early 10s generic). Well now you can get Satoshi Urushihara’s artwork by getting a DLC for the game to replace the new art, I don't know how to feel about making us pay for the old art, but at least we do have an option to get it back. I think the more important news item is that they're offering differing routes for Langrisser 1 (with the implication that L2 also has them, with indeed confirms that they're most likely using Der Langrisser over vanilla L2). Also, the simple fact that I don't immediately hate Jessica's redesign instantly puts this above Resurrection Reincarnation. But yes, I'm grateful as all hell that they're giving us a choice in the matter. Better still, is that they actually got Urushihara back to do an extra character (even if Betty's design looks kinda phoned in). I'm also glad I get the choice, at least. As for Betty, I wonder if the design started with Ryo Nagi first? Either way, just comparing the two reminds me less why I prefered Satoshi's art, and more of why I found Nagi's art so bland: more and more over the years, Nagi has had a tendancy to draw characters like they're maniquinns, having very little expression or movement, seemingly in order to make designing their costumes easier, or at least to emphasis other parts of his illustrations. Satoshi's illustration of the same bland character design still looks more interesting not only for his less generic art style, but also because he tries to make the character do something and have her at a different angle - you know, spice it up a little? As an aside, was the Langrisser on 3DS any good? I've seen it for sale a few times and thought about picking it up. If I haven't played any others in the series, will I be totally lost? The TL;DR is that RE:IT took the series' core gameplay mechanic and straight up gutted it without offering anything to even try to fill the void. The fact that the game looked like some collage kid's Unity project or that the character designer has a thing for lolis didn't help matters either. As for the plot, I'd be hard pressed to find a more generic/rehashed plot in this failed timeline hellscape that is the Recycled Age of Television. I know battle animations typically get turned off a few hours into play, but I still can't get over the fact they went with the bobbleheads-sorta-briskly-walking-next-to-each-other-before-exploding look that probably took a lot more time for that intern to make, but looks infinitely worse than even Langrisser 1. 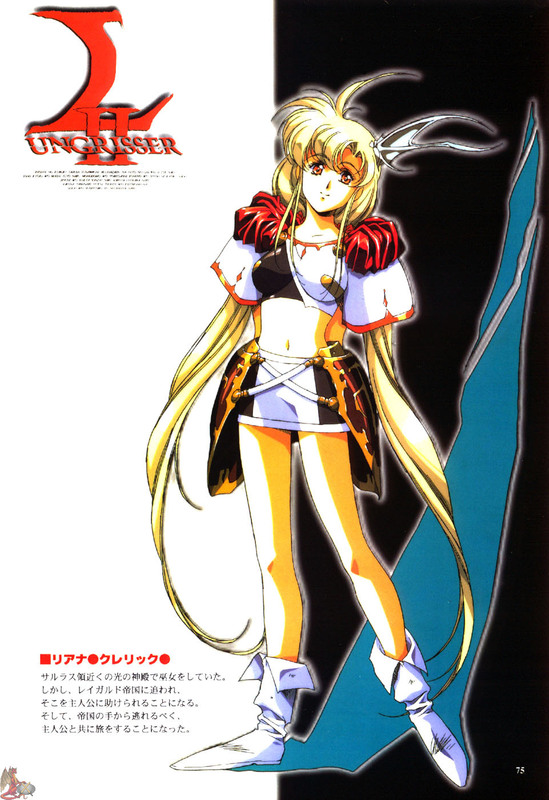 I've never played a Langrisser game, but I'd like to! So hopefully we'll get these. Though from what I've seen of the old art, I have to agree with Hathen about the art. I really like the 80s/90s fantasy anime designs, and they don't really look dated at all. Ah well.